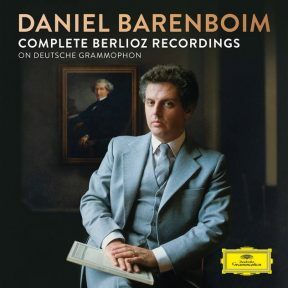 Marking 150 years since the death of Berlioz, Deutsche Grammophon presents one of the most significant collections of Berlioz’s major works performed by French musicians under a single conductor – Daniel Barenboim’s Complete Berlioz Recordings on DG with the Orchestre de Paris. This 10-CD limited edition set features celebrated performances from Placido Domingo, Jessye Norman and Kiri Te Kanawa and includes a new essay from musicologist Nigel Simeone. Furthermore, a standard e-album of Romeo & Juliet is also being made available for the first time in the Digital Supply Chain. From 1975 until 1989, Barenboim was music director of the Orchestre de Paris and this exploration of Berlioz became one of the most significant collections of the composer’s major works performed by French musicians under a single conductor. Throughout this survey, Barenboim demonstrates the value of using thoroughly idiomatic French choral and orchestral forces, and together with the Orchestre de Paris, relishes the inventiveness of Berlioz’ orchestration. In the operatic pieces, Barenboim calls on distinguished international soloists Placido Domingo, Jessye Norman and Kiri Te Kanawa for some of the most celebrated recordings of these works.